VIVALADERBY! 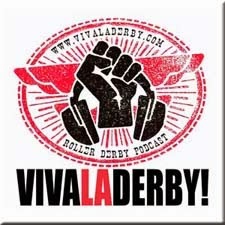 are pleased as punch to start a new off shoot of your beloved Australian Roller Derby Podcast. 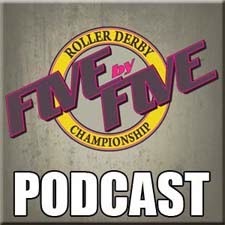 We're going niche and doing a podcast wholly dedicated to the 5x5 Roller Derby Championship. BK, Noms, and Ann O'War welcome HARD's Lisbeth Slammed-Her and CCRG's Kiki Chaos to join in on the party. We analyse the five teams making up the competition and preview the Round 1 matchups. For those of you mad VLD! fans that could give zero shits about 5x5, never fear; VLD! the regular edition will be up very soon with Episode 20 for your ear holes. 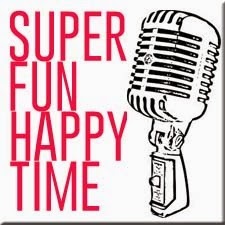 We've got a Super Fun Happy time in the can to come out soon and continuing on with the niche theme. we're also going to have a podcast for QLD's Open Season competition. It's all happening in 2013 and VIVALADERBY! want to cover it all. For more info on 5x5 go to 5x5derby.com.